On the 9th January 2013, three Kurdish female activists Sakine Cansız, Fidan Doğan and Leyla Şaylemez mercilessly murdered in Paris. From the global perspective, including the Kurds and their response to this political carnage vehemently caused the infuriation. This massacre has been reviewed by various people. It is believe that this attack has been direct one on people who try to seek a peaceful solution to the Kurdish issue and a provocation targets to damage the peace-process-negotiation. The Kurdish question is continuously aggravated in the Middle East. Especially, Turkey is unwilling to solve or bring any solutions to the negotiation table. Since 1993, the Kurdish Freedom Movement (also prominently known as Kurdish Workers Party abbr. PKK), the figurehead Abdullah Öcalan and Kurds have attempted to solve the Kurdish conflict peacefully without disagreement. 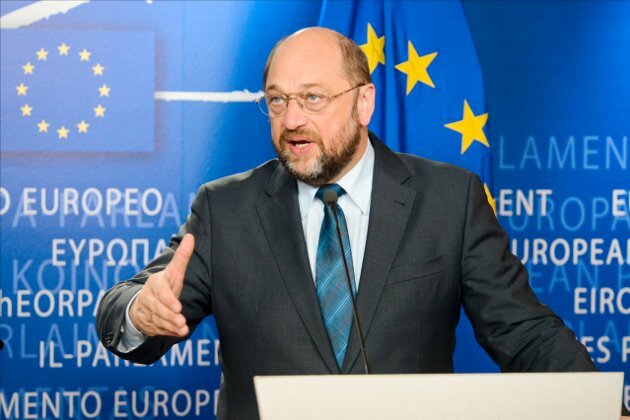 These efforts were failed as a result of Turkish government’s reluctance and indirect involvement. Nevertheless, public opinion has recommended that so far the peace process known as Oslo I Accord (or Negotiation) has failed. These interviews were attended by the representatives of the Kurdish Freedom Movement (PKK), as well as the other sections of the Kurdish society on behalf of the Kurdish People’s Leader Abdullah Öcalan. It was carried out by a committee with the official group of the state. However, the earlier processes was ignored and unsolved since July 2011 and Turkish government put slashes with a knife instead of peaceful negotiations. The Turkish Justice and Development Party(AKP) is processing a procedure called ‘Deep Security Strategy’ under the name of both the military and political operations carried out all the wars against Kurdish Freedom Movement (PKK) and Kurdish people. By the international community year 2012 was the one out of last 28 years of armed struggle, both militarily and politically considered as the most violent year. In addition, Kurdish problem affects the developments in the Middle East which forces them to impose it on the agenda. Both of these developments, as well as AKP’s Deep Security Strategy illustrated that they could not get the desired results. Therefore, AKP government Erdoğan has returned to meet Öcalan to begin the process of negotiation announced on December 2012. Although this process is an initiative negotiation under the AKP government officials to conduct an integrated strategy, as well as staff and leaders would against the PKK militants and the Kurdish Freedom Movement (PKK) which they have declared that they will continue the policies of destruction and dissolution. And the assasination of three Kurdish women activists in Paris should be seen as part of this strategy. In the heart of Europe, in such as sensitive and important process the detachment of three Kurdish women’s involvement militarily from the process discussed above this assassination of three Kurdish females cannot be accepted. In addition, the time of murder confides with the peace process negotiations raise a question that the intelligence forces have targeted those individuals with a deep commitment which considering an attack was organized professionally to put obstacles. Regarding this case, you can find reviews and evaluative critiques from the various sides and including Kurdish. Another issue is, if this attack has not come to the light and the party involved not brought the justice Kurds will not provide the desired solution of Kurdish problem and will continue their struggle until recognitions are made. The joint request of the Kurds and democratic groups, demands from the French government and justice to expose the secrecy of Turkish government and shed a light on this inhumane and brutal massacres of the Kurdish women activist. 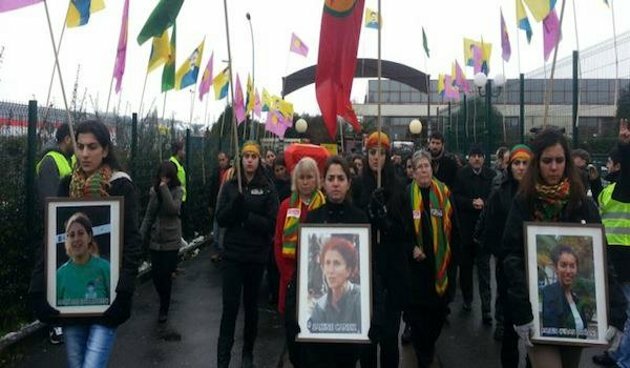 Sakine Cansiz, Fidan Dogan and Leyla Söylemez have been found dead with gunshot wounds in the premises of the Kurdish Information Bureau in Paris on 09 January 2013. Kurds believe that the murder is a provocation, organised to derail the recent start of peace talks between the Turkish government and PKK’s leader Abdullah Ocalan. On the evening of 09.01.2013, Sakine Cansiz, a founding member of the PKK, Fidan Dogan, a representative of the KNK, and Leyla Soylemez, a young activist, were all victims of a callous killing in the office of the Kurdish Information Centre in Paris. Not only does the use of silencers point to a professional contract killing, but other facts also, for example, the targeted shoot to kill. For some weeks, negotiations were being held between representatives of the Turkish government; the leader of the PKK, Abdullah Ocalan, who is imprisoned in total isolation on Imrali Prison Island; and the pro-Kurdish Peace and Democracy Party (BDP). The attack on political exiles can therefore be considered as provocation and an act of sabotage against a possible renewed peace process. But the French influencing factors cannot be left out of consideration. A few months ago, French Judge Thierry Fragnoli, who is responsible for anti-terror matters, spoke to this effect, when it was proposed that a group of 4 judges, 8 lawyers and 28 commissioners would work exclusively with regard to Kurds in France. How, under such strict observation, such a murder could happen, is highly suspect. In light of this, the reaction of the French Home Secretary that “the murder was unacceptable” – downplays the true gravity of the incident. Because of this, the following questions arise, for which we expect answers from you and the French government. How could the assassin(s) commit this cold-blooded murder during the day in such a populated area when, Kurdish activists, including the victims of the murder, were under the constant observation by state security and the police in France? Is not there video recording of the assassin? If so, why has this been conceal from the public? Did the French secret service have had any information of a possible murder before the act took place? If so, why was this not made public and/or the victims were not warned about this? Against the backdrop that the French authorities did not shy away from the illegal arrest of Kurdish political activist, Adem Uzun, even cooperating with the Turkish secret service, it is absolutely incomprehensible that the French authorities were in no position to stop the act. If there is, therefore, no prompt explanation for the murder, the Kurdish community would question, for better or worse, the role of France in the Kurdish conflict. The confidence of around 150 000 Kurds in France, in the French government and in their authorities is shaken anyway. Reasons being the state repression against Kurdish activists, closures of Kurdish organisations, or the inconsistent attacks on Kurdish facilities, for instance the burning down on a Kurdish organisation in Mulhouse at the end of December last year. The Kurdish community will pursue the examination of French authorities around this incident, and continue to question the words of French Home Secretary Manuel Valis all the more, because those responsible will have to get to the bottom of this “unacceptable act”. We completely condemn this attack, and demand a full investigation into the circumstances of the killing and its background! The fact that the French authorities share responsibility for this act must not be disregarded. With raids of Kurdish organisations and the arrest of Kurdish activists in the last year, French police and justice may have contributed to this crime. We call on the French government to reassess its anti-Kurdish policies. 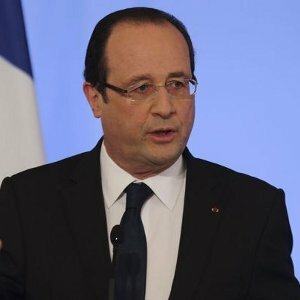 Last week, the French President Francois Hollande called the murder of the three Kurdish activists “horrible”. The French Interior Minister Manuel Valls defined it as “execution”. The French government promised to the Kurdish leadership to undertake all the necessary measures to bring the murders to justice. 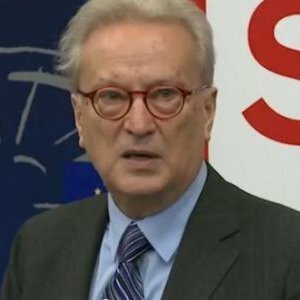 The President of the Socialists and Democrats Group in the European Parliament Hannes Swoboda also strongly condemned the assassination of the three Kurdish activists.